After seeing this clip http://www.youtube.com/watch?v=wndzbZP31dQ, which was new to me, I asked myself if there is a list out there with all the BBs concerts that were professionally filmed. There must be quite a lot. If there isn't such a list, maybe we can use this thread to collect them. It would also be interesting to see if a DVD-release (or a release via beachboyscentral.com) would be possible. This is the list that I will update everytime we'll get something new. I'll also include appearances on TV shows if they have a certain concert-character to them. 1964 - 3 - before 10 NBC Television Studios, Burbank, CA "Lost concert"
1964 - 11 - 6 London, UK Ready, Steady, Go! 1969 - 5 - 30 Brighton, UK more than just this song? 1969 - 6 - 17 Prague, Czechoslovakia Is this all that was shot and was it also recorded audio wise? 1978 - 5 - 28 Oakland, CA Day on the Green More filmed than these short snippets? 1983 - 6 - 16 Erie, PA Was more of this than just the snippets in the youtubelink filmed? 1988 - 11 - 5 Los Angeles, CA Was the whole thing filmed or just these two songs? 1995 - 7 - 19 Santa Monica Pier, CA Baywatch TV series Was this a complete show recorded or did they only play the three songs shown in the series? 2016 - 3 Brian Wilson, Al Jardine, Hollywood, CA Pet Sounds live at Capitol Records Does anyone have a precise date for this? Many thanks to Eric Aniversario's Setlist Archive and Andrew G. Doe's Bellagio 10452. And of course to everyone who did or will contribute. BTW This clip isn't from 1994 I guess, 'cause Jeff is still there. Maybe 1989? hi rocker.......i have seen this before. i know i have it on vhs tape somewhere in the house. if i come across it i should be able to date it..at least when it was taped by me on the recorder. The 1989 series (Endless Summer) parts where from an indoor show this clip is from a stadium. Looks a little bit like in the Still Cruisin' video but Mike's outfit is different. Yeah, you're right. It is from the "Endless summer"-TV-shows. I just watched it again. Totally forgot about it. So, what do we have? Is the "Lost concert" the first BBs-concert filmed or are there others from before that? And what do we have of early 60s-concerts? What about the '66 London-shows? Were they filmed completely? The clip is very good - Al and Bruce are in great voice - until Captain Nasal comes in, assuming the rightful mantle of Mickey Mouse with a bad cold. The less said about the parasols during California Girls the better. An embarrassment to the fans of the BBs who have to justify this kind of crud to the non-believers. The answer would depend on what your criteria is. Yes there are things that were "professionally" filmed like snippets of the '66 London shows...but they don't have sound. There is a lot of that type of footage around, visually great, but soundless...and not complete, just random clips. The first moving footage with sound is '62 Surfin Safari from the doc. One Man's Challenge...this is a "staged" concert scene with seemingly live, but pre-recorded sound. There is moving footage from the '63 Hawaii tour, home camera footage, again no sound. '64's Lost Concert would be the first footage of a complete set with sound. Unknown things do pop up on occasion, some '68 footage with sound showed up last year. There's footage with sound from '71 and '72 (NY Central Park and London respectively). But its a very incomplete picture of the BB's until '76...there seems to be a lot of concert footage with sound from that point on. I suppose there are enough filmed concerts out there that you could put some nice packages together. I do see a couple of problems with a project like that, however. First, I don't think there's a lot of demand for old Beach Boys' concerts; it would have to be marketed to diehards like us. 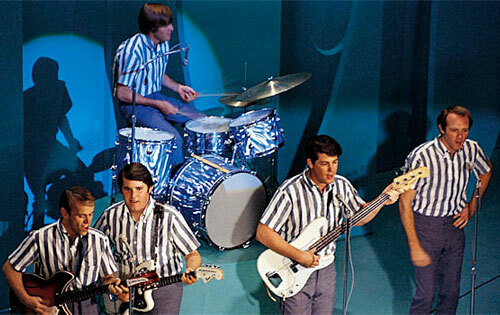 The Beach Boys are an institution though, and there would be some historical significance. But commercially....does anybody know how the Knebworth DVD sold? Or other BB/BW related DVD's? Third, I hope the footage is still around in its original form. A lot of time has gone by - yes, we're getting older - and I wonder if the stuff is still around or was thrown out, much like the discarded audio masters. I would be happy to see any kind of Beach Boys' filmed concerts available, but I think it would entertaining to see a professionally produced DVD or two, done as a compilation, taking the best available songs/performances and put in some kind of chronological order, almost like a career overview. I think it would entertaining to see a professionally produced DVD or two, done as a compilation, taking the best available songs/performances and put in some kind of chronological order, almost like a career overview. You mean An American Band? No, strictly live performances, no interviews. Start with the 1962 "Surfin' Safari" clip, go right through some of the 1963-64-65 TV appearances, into some of the rarer late 60's/early 70's stuff, right through to 1998. I think it would be an enjoyable watch. There's that Blondie'n'Ricky era footage in Endless Harmony, open air, where Mike's wearing a purple shirt with a sun. 'Sail on Sailor' is overdubbed, but I don't remember if it's the studio version or a live one. Is that one of those minimal/soundless footage cases? About a project like this.... Even in our days, when folks don't really feel like paying for music, I think a well-assembled Led Zeppelin (2003) style DVD would sell. Folks bought that one cause there was a feeling that all the goodies were thrown in and it was worth the price. There is stuff, but the costs to license all of those... Ok, forget it. Ditto for a "Anthology" CD set with all the tracks that aren't included in the twofers, from Lonely Days to Carry me Home. Ok, forget it part II. I'm fat as a cow oh how'd I ever get this way! Well, I was of course talking about complete shows with sound. Something that you could release. So, the '66-shows fall out as it seems. Thanks for letting me know that the "Lost concert" is the first complete concert filmed. I gues there's nothing else from their early carrere? I wouldn't count the TAMI-show, because they just did some songs as pasrt of a big concert, although you could probably include it in a list. BTW on "American band" you have Dennis singing "You are so beautiful" (or cracking it out) and then you see "Barbara Ann" from july 4th in Atlantic City. Is YASB from that same show? Dennis hair lokks kinda different. There was a professionally filmed concert from 1993 that aired on Japanese TV as a 30th Anniversary Special. It is interspersed with interviews with Mike, Carl, Al and Bruce, everything is in English with Japanese subtitles. From the 1978 Australia & New Zealand tour one of the Melbourne shows was filmed (in part) and aired on Australian TV - this is the show in wide circulation on the trading circuit. Rumours exist of a show from Brisbane being in existance - I haven't seen it so I can't comment. One of the New Zealand shows was filmed and aired on TVNZ - either the Feb 26 Auckland show of the Feb 28 Christchurch show. The NZ show is reportedly still in storage in the TVNZ film library - untouched and unloved. Contrary to rumours which circulate from time to time footage of the Perth concert debacle does on exist. Was the Christchurch show. Unlikely to be in stereo as could be many of the TV recordings from concerts filmed for TV. According to Badman, Dennis had several bits of 1970's shows filmed on 16mm for his personal collection. I assume that most of it is probably silent. There is a Marylin 1977 concert that circulates, and the previous night also exists on film. There is also at least one complete pro shot film of a live version of Roller Skating Child. Watching Brian dancing to it is a trip. "Because of the attitude of a few mental dinosaurs intent on exploiting our initial success, Brian's huge talent has never been fully appreciated in America and the potential of the group has been stifled.... If the Beatles had suffered this kind of misrepresentation, they would have never got past singing 'Please Please Me' and 'I Wanna Hold Your Hand' and leaping around in Beatle suits." Should we add here the Farm Aid 1985/86 gig and Live Aid? 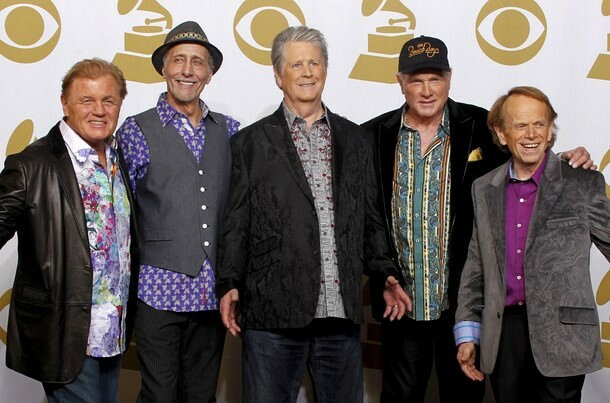 Then there are several television reports about the Beach Boys with concert footage from 1977, 1979, 1980, 1981, 1982 and 1993 but the question is how much did they record. Also I don't know anymore the venue, lost the DVDs so I can't look after. Then there's the one show from 1996 where they recorded the Long Tall Texan clip. There are videofragments known of the Beachago-tour of 1974. I'm very curious if more complete recordings still exist somewhere. I would sell half of my brain for the '67 Lei'd in Hawaii shows on video. Nothing complete between 64-76 ? Powered by SMF 1.1.21 | SMF © 2015, Simple Machines Page created in 0.256 seconds with 21 queries.